Well today I was having a conversation with my Twin Sister, Sharon, and we had a debate about certain things written in the Bible and I came to a revelation concerning the importance of listening to Godly instruction and following through obediently. God can do amazing miraculous things in our lives at anytime, but the one thing that He emphasizes as something important that we as Christians need to ascertain, is the ability to listen and obey INSTRUCTIONS. Many great women and men of God fall due to disobedience. How many times in your life did you ever feel led to do something that you were led by the Holy Spirit to do and decided to disobey the instruction out of either fear or arrogance? It is important for us who want to operate in the realm of the miraculous to cultivate an attitude that is able to listen to BASIC INSTRUCTIONS. You’d be surprised at how many great women and men fall due to disobedience. The word “Sin” in the Bible means “to miss the mark”. How many of us are doing this to this day? At the end of the day, it doesn’t matter how great of a “Christian” you think you are if you are unable to listen to basic instructions. The reason why we fall short of the glory of God is because we cannot do the simple things that He asks us to do. Even Moses, a great Man of God in the Bible failed in this area which cost him dearly if you look at Numbers Chapter 20. TAKE NOTE that Moses was unable to enter into the promised land with the people that the Lord had told Moses to bring. The Lord’s instruction to Moses was distinctly clear if you look at Numbers 20:8. He was specifically told to “Speak to the Rock before their eyes and it will pour its water out”, however, what did Moses do instead? He raised his arm and struck the rock twice with his staff in Numbers 20:11. 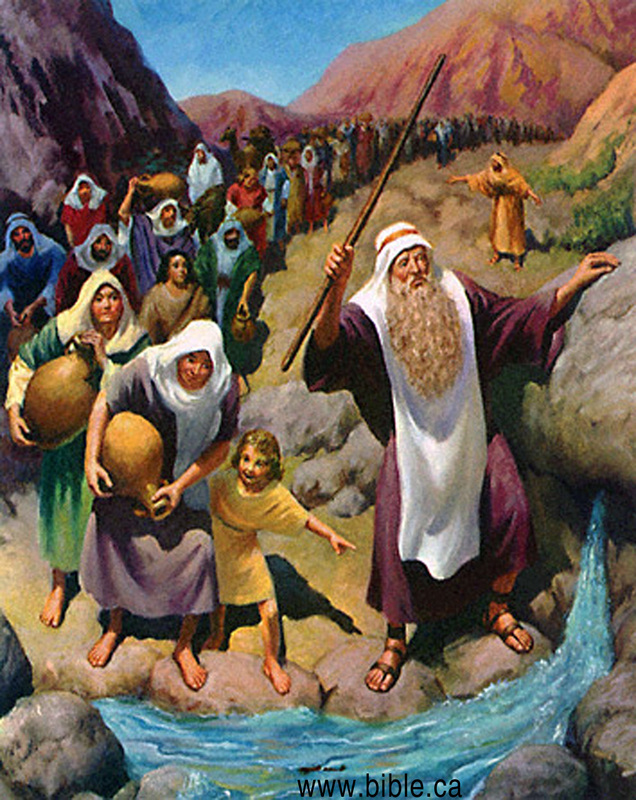 I guess he thought that the Lord’s idea was not “showy” enough to appease the disgruntled Jews that kept on whining and grumbling, so Moses took it upon himself to disregard the Lord’s simple instruction and make a show of how he can appease the anger of the moody Jews that were already thirsty for water to drink. 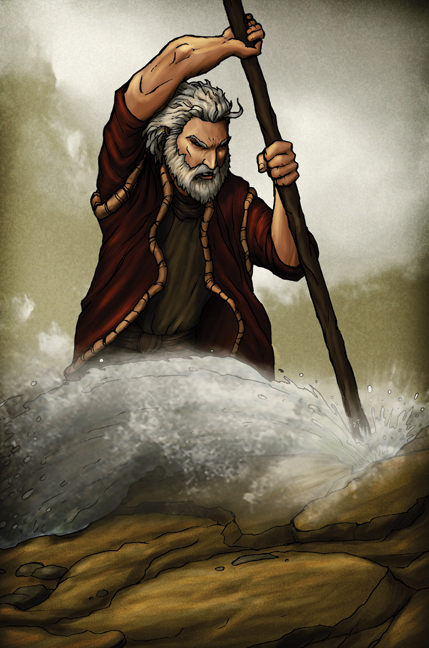 Although water did gush out when Moses struck the rock as “a result”, the fact that remained was that Moses didn’t trust the Lord enough to be obedient enough to honor the Lord’s instruction in order to obtain that same desired result. Moses chose to do things his way rather than God’s way. This just goes to show you that: just because the outcome would have been the same, it matters entirely to God that we be obedient to Godly instruction when seeking to obtain the things we desire as the end result. In this scripture, Prophet Samuel clearly makes it a point that being obedient to Godly instruction is better than offering a sacrifice out of mere religious obligation, or in a sense out of mere appeasement. A person wouldn’t have to offer a burnt offering or sacrifice in the first place if they had simply listened and obeyed to Godly instruction in the first place. This is what Moses failed to do in Numbers 20 which cost him dearly the opportunity to lead the Jews into the promised land. Can you imagine being devoted in ministry and doing so many things sacrificially in your ministry only to lose out on the opportunity to lead because of your Pride and Arrogance that gets in the way when God calls you to do something specifically His way obediently. All the effort and sacrifices that you have made and put through up to that point will count for nothing if you simply cannot obey Godly instruction. 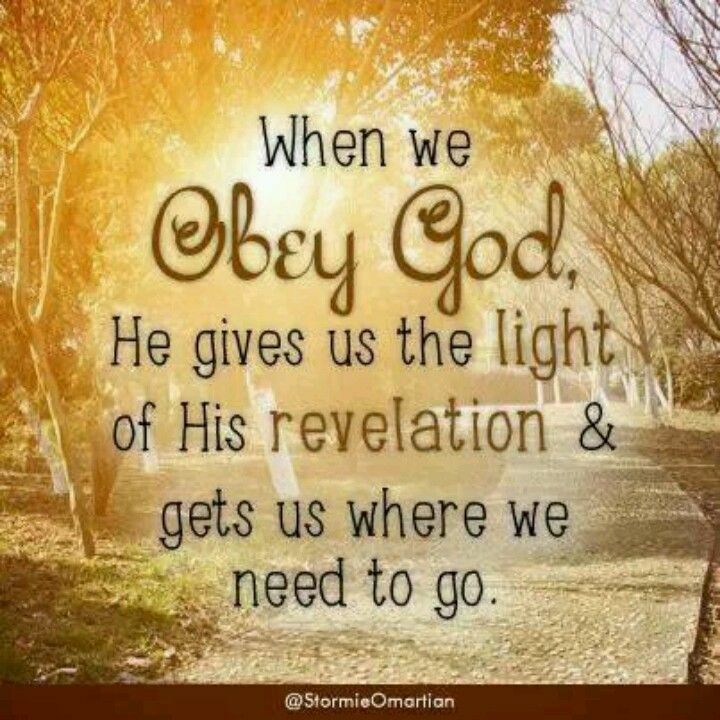 Obedience to Godly instruction is the key to success. You cannot afford to have a “My way or the Highway” mentality when it comes to being obedient to Godly instruction. Sometimes, God asks us to do crazy things that don’t often make any sense, but the outcome will always be for your benefit. However, if we start to lean onto our own understanding and lean onto our own pride, we will start to move in an arrogant way and operate in a realm that is deaf to the sensitivity of hearing directly from the Holy Spirit to move and operate in a certain way, which is God’s way. This is how we miss the mark and “sin”. Moses had sinned in such a way that cost him dearly and greatly, and that is why God calls us to be humble and to lean on Him and trust His leading and direction. If we can only listen to simple instructions, we can avoid making lifetime mistakes, walking around in circles for a long time and actually reach our destination which is our destiny. 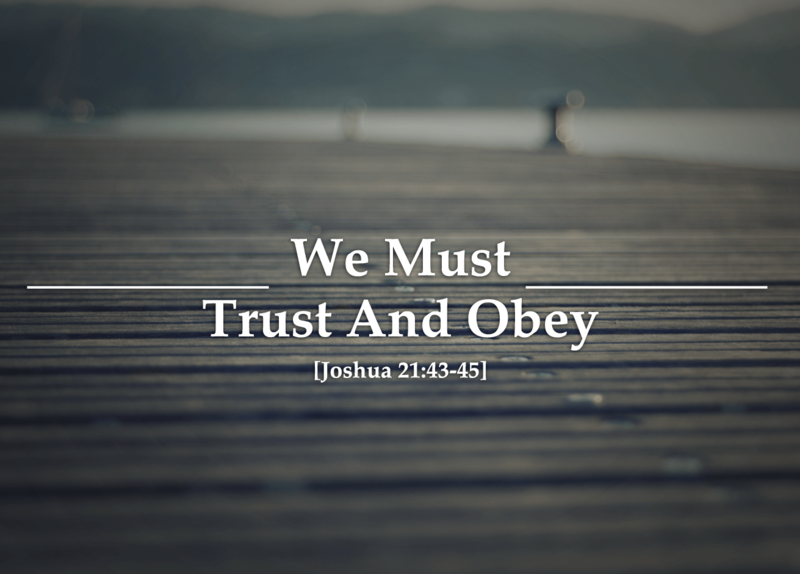 Obedience is the key to obtaining the promises of God for your life. So for today, I challenge you to take a look at your life and reflect on the areas that you have failed to listen to Godly instruction to take on a specific course of action. Sometimes God gives us instructions that doesn’t always make sense, but we need to have the faith to simply obey them in order to receive the miracles we want to achieve and receive in our lives. Are you willing to not only listen to basic instructions, but obey them too? Ask yourself these questions today. DO NOT end up like Moses who was a great man of God who ended up missing his opportunity to enter into the land of promise simply because he failed to obey a simple instruction. Do not allow your pride to cloud your judgment. Do not allow your arrogance to make you deaf to instruction. Rather, cultivate an attitude of gratitude and humility that is able to bend to the will of God for your life and is able to follow simple instructions that will lead you to many great promises that the Lord has for you in your life.